Step off the beaten path and head to Biking Trails Levanto - Framura and Parco Naturale Regionale di Portofino. Get in touch with nature at Sentiero 586 (ex n.6D) Volastra-Case Pianca and Isola Palmaria. You'll find plenty of places to visit near Cinque Terre: Palazzi dei Rolli (in Genoa), Convento dei Cappuccini e Chiesa di San Francesco (in Monterosso al Mare), San Pietro Church (in Porto Venere), Pisa (Camposanto & Piazza dei Cavalieri), Santuario della Madonna dell'Olivo (in Chiavari) and Santuario di Montenero (in Livorno). It doesn't end there: pause for some serene contemplation at Santa Margherita di Antiochia Church and learn about winemaking at Terra di Bargon. 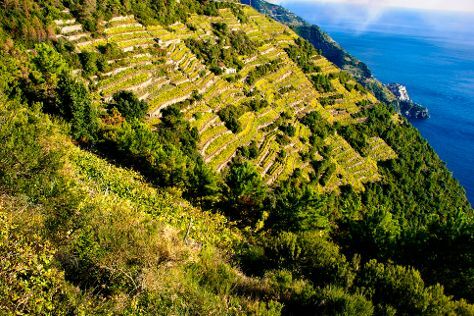 To see ratings, more things to do, traveler tips, and tourist information, read our Cinque Terre tour planner. Atlanta, USA to Cinque Terre is an approximately 20.5-hour flight. The time zone difference when traveling from Atlanta to Cinque Terre is 6 hours. While traveling from Atlanta, expect a bit cooler days and about the same nights in Cinque Terre, ranging from highs of 58°F to lows of 45°F. Wrap up your sightseeing on the 14th (Tue) to allow time to travel to Alba. Alba is a town and comune of Piedmont, Italy, in the province of Cuneo. Start off your visit on the 14th (Tue): learn about winemaking at Azienda Agricola Fratelli Aimasso, trek along Strada Romantica delle Langhe e il Roero, and then steep yourself in history at La Bollente. On the 15th (Wed), you'll have a packed day of sightseeing: do a tasting at Cantina Mauro Sebaste, step into the grandiose world of Castle of Grinzane Cavour, then do a tasting at Cantina Francesco Borgogno, and finally don't miss a visit to Centro Storico. For traveler tips, reviews, photos, and tourist information, read Alba trip itinerary builder. Drive from Cinque Terre to Alba in 3.5 hours. In March, Alba is a bit cooler than Cinque Terre - with highs of 51°F and lows of 40°F. Finish your sightseeing early on the 16th (Thu) so you can travel to Milan. 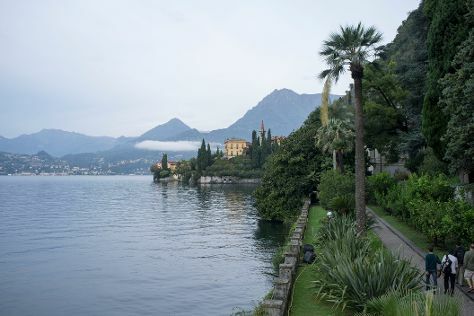 On the 16th (Thu), get to know the fascinating history of Piazza Ducale, contemplate the waterfront views at Lake Como, and then don't miss a visit to Dialogo Nel Buio. Get ready for a full day of sightseeing on the next day: tour the pleasant surroundings at Parco Sempione, then take in the spiritual surroundings of Basilica di Santa Maria Maggiore, then take in the spiritual surroundings of Cattedrale (Duomo) di Bergamo e Battistero, and finally make a trip to Piazza Vecchia. To find photos, traveler tips, more things to do, and other tourist information, read our Milan itinerary planner. You can drive from Alba to Milan in 2 hours. While traveling from Alba, expect a bit warmer days and about the same nights in Milan, ranging from highs of 58°F to lows of 40°F. You will have some time to spend on the 18th (Sat) before leaving for home.